King Edward VI School is a co-educational day school for children from 11 to 18 years of age. 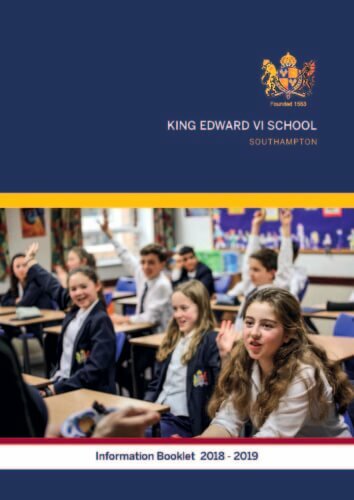 We understand that choosing a school can sometimes seem a daunting experience but we hope that the prospectus can give you a glimpse of what makes King Edward’s special. Students attend our school from all over Hampshire and our extensive bus network (including a late bus service) offers flexibility to those pupils living further afield as well as those living closer. The main intake is into the First Year (Year 7). However, there is an additional entry into the Third Year (Year 9) at 13+. All applicants are interviewed and will sit an entry examination in the January prior to admission. Applications are also welcome for entry into the Sixth Form. Please use the menu on the left to find out more information.